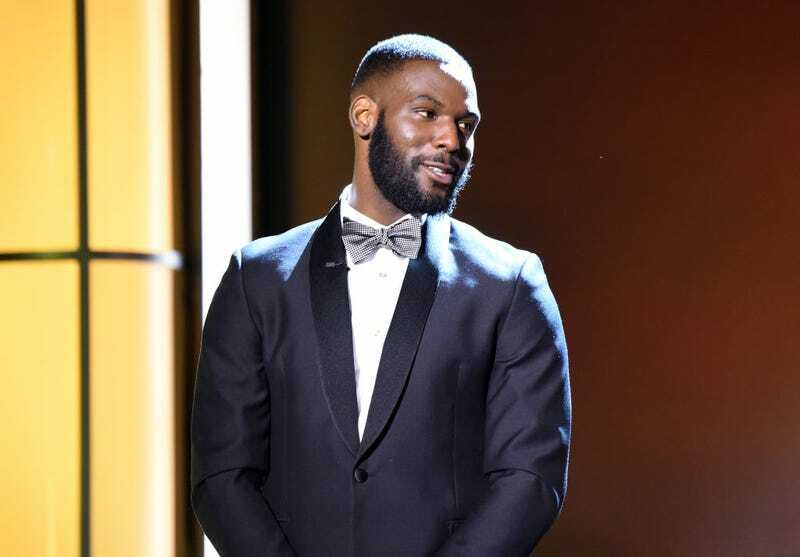 The mid-season finale of OWN’s hit show, Queen Sugar, is tonight and VSB had the opportunity to speak with Kofi Siriboe on his breakout role as Ralph-Angel, toxic masculinity and why for come he couldn’t have been in every scene in Girls Trip. Kofi Siriboe’s Ralph Angel is a riddle of a man. Tender yet selfish. Forward-thinking on ideas of gender-fluidity and sexuality yet vulnerable to the same fuckboi-ish tendencies of misogynoir that did many a Hotep and Breakfast Club host in. Last season of Queen Sugar saw his character wrestle with what it meant to be a free man recently released from incarceration, with all the pitfalls and disappointments that come along with it. It also saw R-A reconcile with not only the death of the Bordelon patriarch but the recovering drug addict-mother of his child. VSB: Congratulations are in order to you and the rest of the cast! Queen Sugar was picked up for a third season. VSB: Kofi, first and foremost, thank you so much for speaking with us today! Everybody here at VSB loves Queen Sugar. I especially love your character, Ralph-Angel. You do such a wonderful job humanizing a character who is quite different than the character in the book. I actually can’t stand Ralph-Angel in the book. KS: [laughs] You can’t stand him? VSB: Your character has been through a lot this season and last. Can you talk to me about Ralph-Angel’s struggles as a black man with a record and how that dictates the moves he’s able to make in the world? KS: I feel it is very important to tell this type of story of Ralph-Angel as a character and a black man. You don’t see this type of character, this type of black man, portrayed on t.v. Not only Ralph-Angel’s journey, but I feel like we are telling the story of many black men. I feel like all of us [in the black community] have or know or have been a Ralph-Angel at some point. I’ve been in the industry for a very long time - since I was little - and I’ve been waiting to play a character like this for years. VSB: I’ve definitely known a couple of Ralph-Angels in my own life. And what they tell me is with reentry it’s very hard and you notice the little things like wanting to regain the intimacy of touch that you aren’t allowed as a man behind bars. VSB: So Ralph-Angel has done a lot right this season with his treatment of the Kenya situation (Editor's note: Kenya is a doll that belongs to Blue, Ralph-Angel's son) and your scenes with Brian Michael a few episodes back. KS: Ma'am. I’m sorry, I’m having trouble hearing you so I’m going to hang up and call back in. KS: Sorry about that, ma'am. VSB: No problem! So we left off with you talking about trans rights and the importance of including that in the dialogue for this season. Can you talk about toxic masculinity for a bit and how you’ve seen it play out in your own life, in the life of others and how it’s playing out in your character’s life? KS: Toxic masculinity is something that I’ve seen in my own life. We as men are afraid to be vulnerable, afraid to show emotion. And in the black community the way we are portrayed in the media often times, it’s like we can’t cry, we can’t show fear. VSB: I think it’s often seen as being a “black” problem when it’s not. VSB: How did you conceptualize the character Ralph-Angel from the book to the small screen? Was this something that you collaborated on with Ava and Oprah? How did you bring him off the page? KS: Ralph-Angel is very much adapted from pieces of me and the things that I have been through in my own life. Working with Ava is just…it was a blessing. We came together and I learned so much from her in this experience. VSB: Talk to me about your character’s relationship to his son, Blue. KS: The love they share is something special that we are able to portray: The love of a father for his son and he accepts him. Especially his understanding of the relationship between Blue and Kenya and how he doesn’t question. And how protective he is of Blue while still allowing this child to be a child and to experience innocence. VSB: Let’s switch gears for a moment. Talk to me about your experience shooting Girls Trip with Queen Latifah, Jada Pinkett Smith, Regina Hall and Tiffany Haddish? KS: Did you have an opportunity to go see it? VSB: We saw it over the weekend and everybody in the theatre lost their minds during your scenes. KS: [laughs] Thank you. It was just a blessing getting to work with these actors that I looked up to so much and they were so welcoming on set. So I’m glad that they are getting the recognition they deserve and the movie is doing well. VSB: Kofi, here at VSB we’re really big on talking about unapologetic blackness. Tell me, what does black boy joy mean to you? KS: Well, you just said it. Black boy joy looks like unapologetic blackness and being able to stand in your truth. VSB: That’s the blackest thing we’ve heard all week.